Jim Rouse Bob Snow and Jim Rouse were business partners, developers, consultants, associates and moreover, good friends. They worked together on numerous projects and ventures spanning over two decades and together advanced the concept of the true urban entertainment complex worldwide. 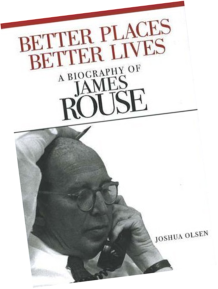 James Rouse was a real estate developer, civic activist and philanthropist known for rejuvenating downtown areas in the United States. As president of The Rouse Company, he created innovative "festival marketplaces," including Harborplace in Baltimore, Faneuil Hall Marketplace in Boston, Gallery at Market East in downtown Philadelphia, and South Street Seaport in New York. Many say the native of Easton, Md., helped popularize the term "urban renewal." Rouse's legacy also includes Columbia, the planned community between Baltimore and Washington, D.C. Columbia has become a model for similar communities nationwide. Other examples of Rouse Company festival marketplace developments include St. Louis’ Union Station, Downtown Portland's Pioneer Place, and the Riverwalk Marketplace of New Orleans. The early festival marketplaces like Faneuil Hall and Harborplace led TIME magazine to dub Rouse "the man who made cities fun again." Rouse began his career in the mortgage banking industry but left it in 1954 to start his own real estate company, focusing initially on the development of several indoor shopping malls, now a staple of American suburbia. After 40 years at the Rouse Company, James Rouse retired from day-to-day management in 1979. Soon afterwards, he and his wife founded the Enterprise Foundation, a not- for-profit foundation funded in part by a for-profit subsidiary, The Enterprise Development Company, and focused on seeding partnerships with community groups that would address the need for affordable housing and associated social services for poor neighborhoods. 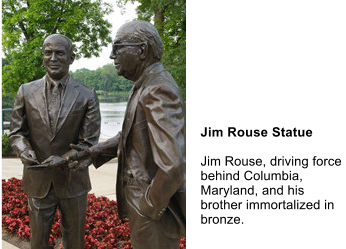 Rouse was inducted into the Junior Achievement U.S. Business Hall of Fame in 1981. In 1988, Rouse was awarded the second Honor Award from the National Building Museum. The Rouse Theatre in Wilde Lake High School is named after James. In May 2006, an approximately four-mile stretch of Maryland Route 175 between Interstate 95 and U.S. Route 29 in Columbia, Maryland, was named after Rouse and his wife, Patty. Patty Rouse died on March 5, 2012. 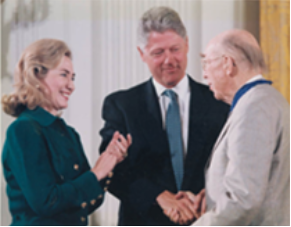 Rouse received the Presidential Medal of Freedom from President Bill Clinton in 1995. 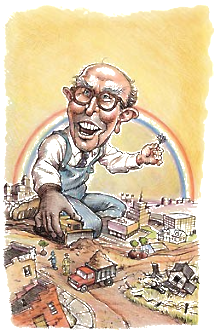 Rouse died April 9, 1996, at the age of 81. For quite some time after his passing Snow continued to work with Enterprise Development and its President Bob Barron (who is now a part of the Snow & Associates team).